The revelation of a secret peace summit held in early 2016 and ending in failure, has become a big political liability for Israeli Prime Minister Benjamin Netanyahu, who is facing criticism from the left for letting the talks pass by without making a deal, and from the right for participating in peace talks in the first place. Hoping to shift the narrative away from a proposal being made and Netanyahu refusing, Israeli officials are now insisting that the whole summit failed because of then-President Barack Obama, and his attempts to “impose” a settlement on Israel with a US-backed two-state solution plan. The reports are that the proposal was for a two-state solution largely along the 1967 borders and formal recognition for Israel as a “Jewish state” among a number of Arab states. Israel offered a counter-plan, the details of which are unclear, and which didn’t get much interest. Israeli officials faulted the US plan for being too similar to Arab-backed plans, and similarly complained they shouldn’t have sent John Kerry to negotiate, saying he doesn’t have “a deep understanding of Israeli interests,” which ultimately led Israel to ditch the summit. Peace talks with Israel are time wasters. 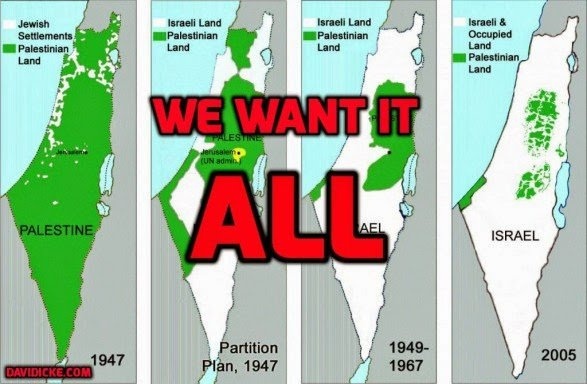 Israel does not want a peace settlement. It is an expansionist Racist state. Its major industry is weaponry. Its greatest source of capital is land theft. Peace would turn off the spigot of American tax dollars. Peace is anathema to Israelis. If in trouble blame Obama. In truth, Trump’s words were a bridge too far on Israel. Even to Israel sympathetic Americans. The up side of that is that Trump was running his cakehole off in ignorance and so he’ll need somebody to fix his damage that he’s done. It’s most important that a status quo situation can be maintained in which Netanyahu is allowed to make steady progress without the appearance that the US is completely onside with Israel’s apartheid being perped against the Palestinian people. The latest by Netanyahu is most likely even a little too rich for the most ghoulish Americans. I would suggest that it’s more Trump’s ignorance and his propensity for talking out of place, as opposed to him supporting such evil. But I could be convinced either way maybe?